This blog post is sponsored by Blurb. 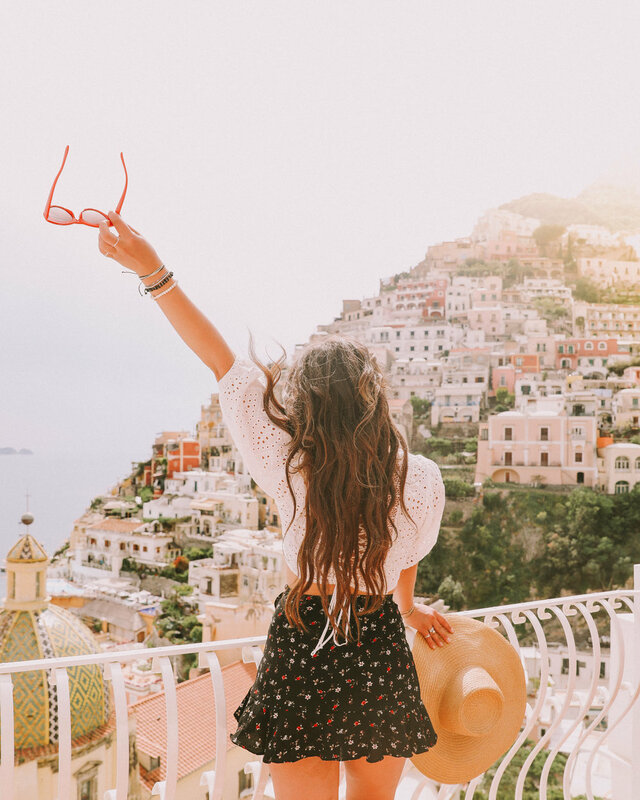 a recently graduated 20-something, a one-way ticket, dad's old film camera, and the life-giving joy of falling in love with wonder." 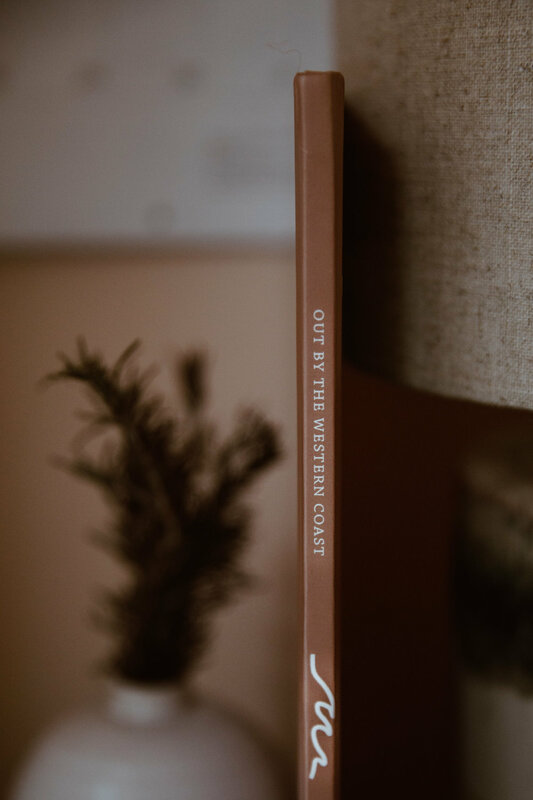 This holiday season, Blurb helped me to bring my vision to life of creating a photo book of some of my favorite film photographs I have taken while living in California. This place has grown to mean so much to me since moving here in May -- love, passion, and creativity brought me to pack up all my things and move from a tiny town in the midwest to a place where I set out to follow my dreams. If you’d like to purchase my book or see a preview of the inside of my creation, check it out by clicking here! It definitely hasn't been an easy road, but one day I know I will look back on this part of my life and feel an overwhelming sense of nostalgia for the people and places who helped me along the way to my aspirations: because I imagine that when I look back at this time of my life, I'll be thankful for all the little things that have made up these every-days: and I wanted a book to capture that. If you’d like to create your own photo book this holiday season, click here to check out all of Blurb’s amazing options for customizing your own work of art. Blurb is an independent, creative book-making and self-publishing platform. They make it so easy for anyone to create photo books and magazines in print and digital formats. For those of you who are well-versed in design, you can also use Blurb’s Adobe® InDesign® plug-in or Lightroom® integration for even more creative control over your book. My Imagewrap Hardcover, large square 12×12 in book was created with Blurb's plug-in for Adobe® InDesign®. I also absolutely loved the amazing paper quality of the Premium Matte, which was the perfect choice to compliment my film photos. As soon as I received my book, I was in awe of the incredible quality, and loved flipping through the pages. I cannot wait to order another one. Thank you to Blurb for sponsoring this post. 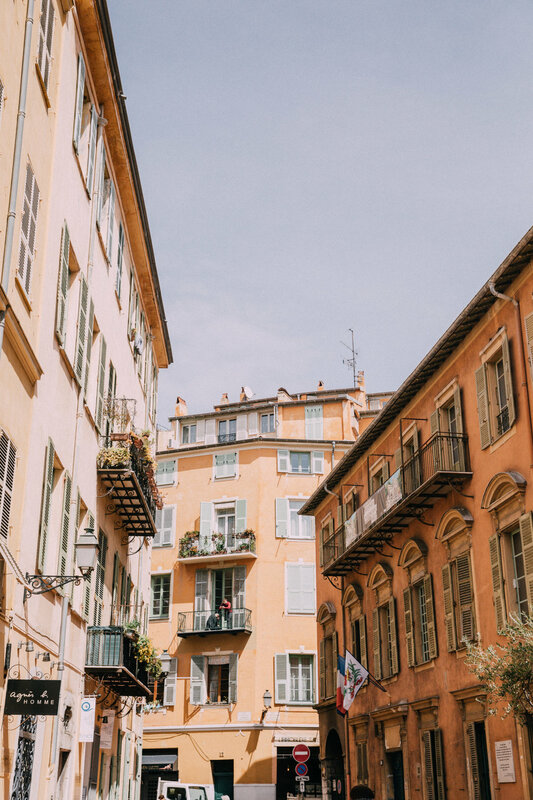 While traveling, one of my favorite things to do is to check out the local coffee spots — even when I’m home, my days usually start with a daily chai latte. Cash App has a new feature called the Coffee Shop Boost, where you can get $1 off every purchase made at coffee shops in the US, just by paying with your Cash Card, which you can set up for free through the app! You can even customize your card with a personalized signature, to make it your own. 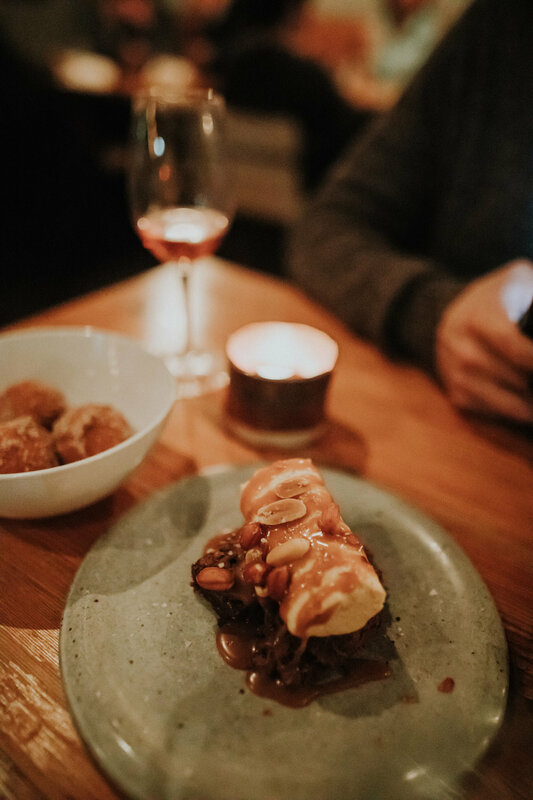 Saving more means more coffee dates and more yummy mornings going out for brunch. Click here to find out more about other new boosts now offered within Cash App! https://cash.app/ Try it out using my code RDSQXMQ and we’ll each get $5! Happy Holidays dreamers! West Virginia was a place unlike any other I have visited before. The magic, mystery and historic nostalgia seemed to fill up the hearts of all who have stepped foot here — along the winding rivers and trailheads that scatter the wide and endless landscape. 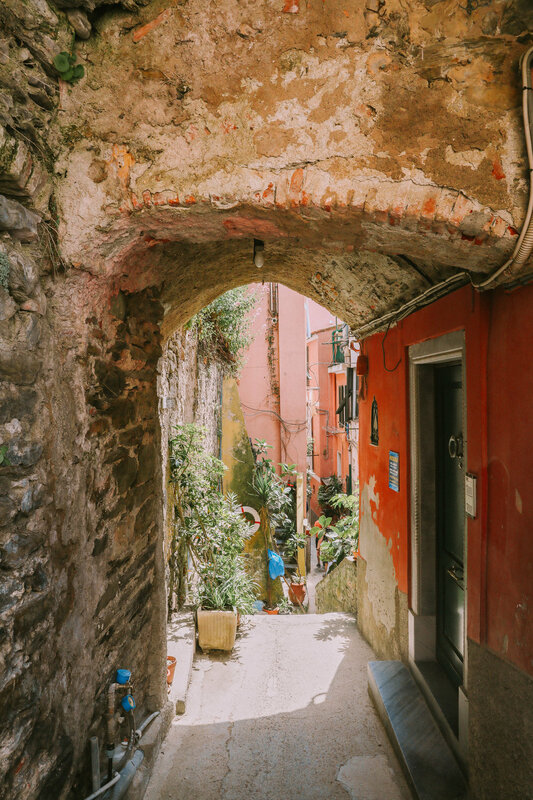 We discovered so many little gems on our expedition: from rainy mountainside hikes, to visiting an organic farm, to hearing the stories of the people who have grown up here. Harpers Ferry is a quaint little town within a National Park, sitting among the rolling hills along where the Potomac and Shenandoah Rivers meet. We had the chance to stop by the cutest little candy store, True Treats Historic Candy, to try molasses sweets and peppermint Gibralters. We cozied up for a yummy lunch at the Potomac Grill, where we sipped hot tea, surrounded by old National Park signage. 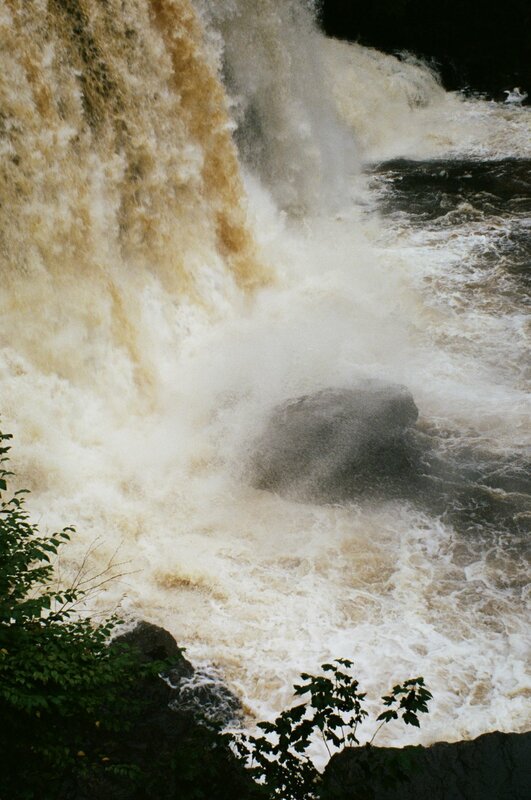 Nestled among red spruce trees in a magical forest, Blackwater Falls rushes with an amber tint, cascading gracefully within the Allegheny Mountains. We stumbled upon this beautiful location on an early hike through the drizzling October rain. Some of the leaves were beginning to turn a bright gold, and they shone like honey on the trails in the mid-morning storm. We had so much fun exploring and eating at an amazing farm in West Virginia called Wardensville Garden Market. We had fresh tomatoes, peppers, homemade breads and locally made jams! We also had some sweet apple pie for a little taste of something sweet. 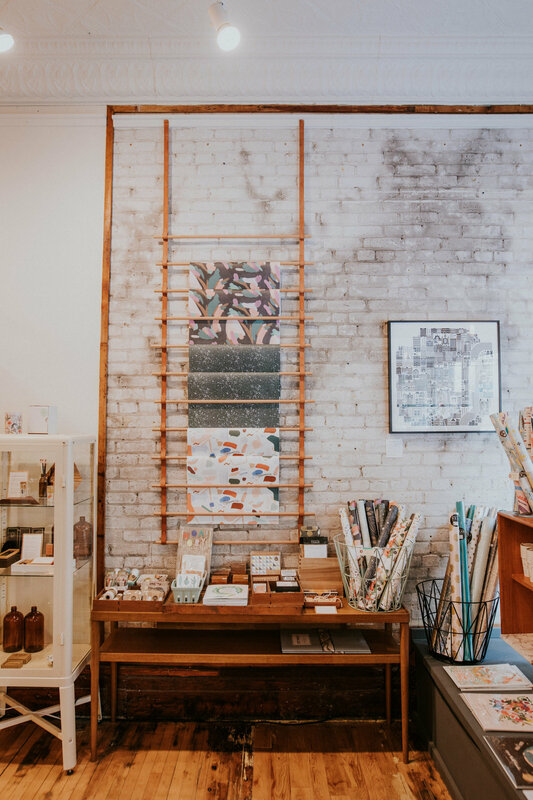 The owners also have an amazing trading post called Lost River, where they sell incredible American-made goods by talented artisans from all over. Way out in the wilderness in the Monongahela National Forest, we hiked up Seneca Rocks through the steep wooded mountainside in the drizzling rain. As soon as we got to the top, the clouds slightly parted and out poured a magnificent golden sunlight into the entire valley — glowing out into the and hills & the North Fork River way down below. On the last day of our week exploring the peaceful and nostalgic regions of West Virginia, we took the Potomac Eagle Scenic Railroad over the river and through the woods on a crisp autumn day. You could see the Blue Ridge Mountains peeking out in the distance, as we winded and twisted through the highlands of this incredible state. 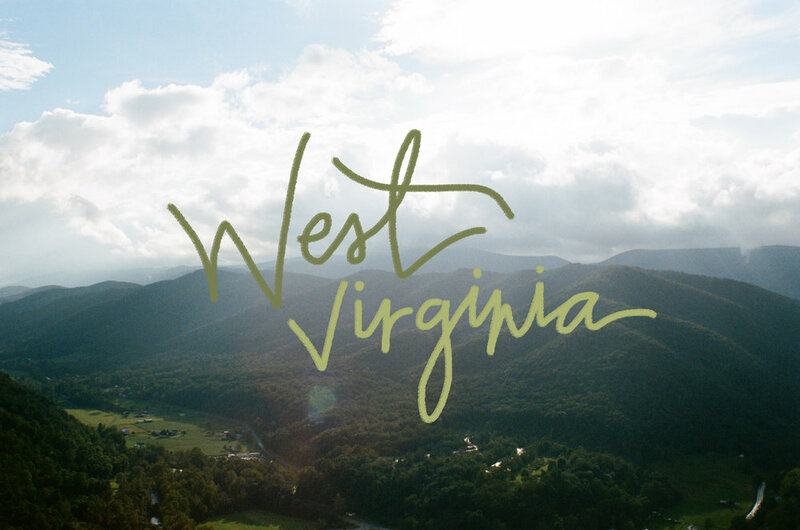 West Virginia is a place that I will truly never forget, and was honored to be able to tell the stories of the nostalgic counties of this state. Thank you so much to West Virginia Tourism for inviting me on this incredible expedition. 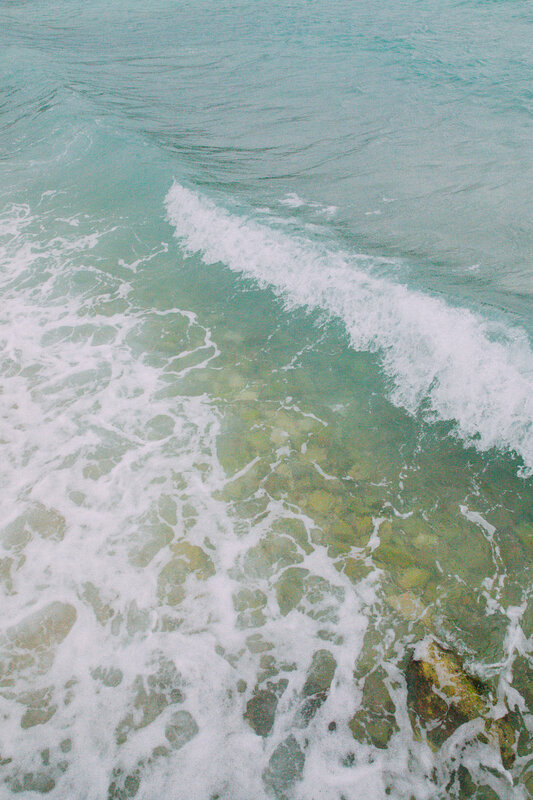 It’s strange and exciting to think that the new things that happen to us everyday, we’ll someday be nostalgic for. Days like these -- soaking up sunshine, tangled salty knots in our hair, capturing each passing moment in the back of our minds wishing it wouldn't end. The slow and beautiful collapse of summer always brings out the most nostalgic side in me -- craving memories themselves. I love the dreamy and whimsical nostalgia of these Victoria Emerson bracelets. This Varadero one totally makes me feel like a mermaid with all the seashell-twilight colored beads and charms: crystals, turquoise, and howlite gems. Throughout the coming autumn and winter, this bracelet will always remind me of the nostalgia of those late-summer nights on the California Coast. This past semester, I studied abroad in Florence, Italy and had the amazing opportunity to travel around Europe with Bus2alps! Truly had the most magical adventures thanks to their incredible student travel program. They took me to visit 6 new countries and over 10 different cities! Here's a little recap of my trips with them last semester. My first trip with Bus2alps was to Budapest, Hungary back in March. 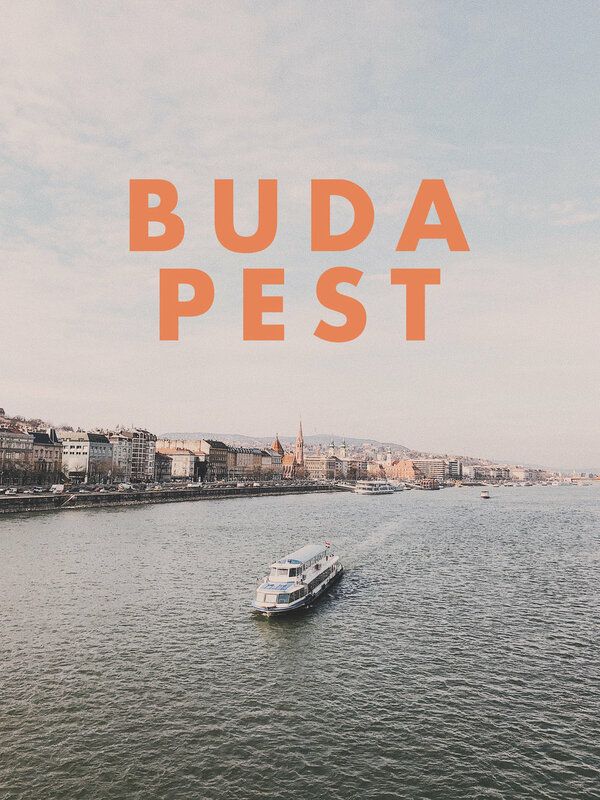 We enjoyed warm apple fritters and fresh coffee in the cutest coffee shops like Konyha, and spent the day soaking up the sun on the Széchenyi Chain Bridge, and exploring Fisherman's Bastion, which overlooks the whole city. 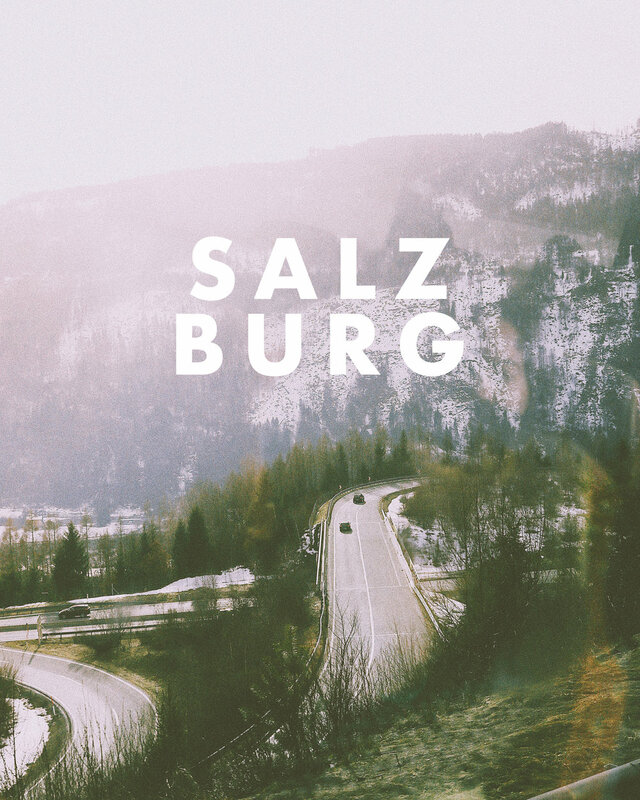 Next, we took the scenic route through the mountains and drove from Budapest to Salzburg, Austria. We had a tour of where they filmed the Sound of Music, and explored St. Blaise's Church: the dreamiest little steeple at the end of a small village street. Our last stop of the weekend was VIenna, Austria! In the morning we had a tour of the city, and enjoyed tasty pastries from DEMEL. At night we checked out the Prater Amusement Park and took a ride on the ferris wheel to catch a dreamy nighttime view. 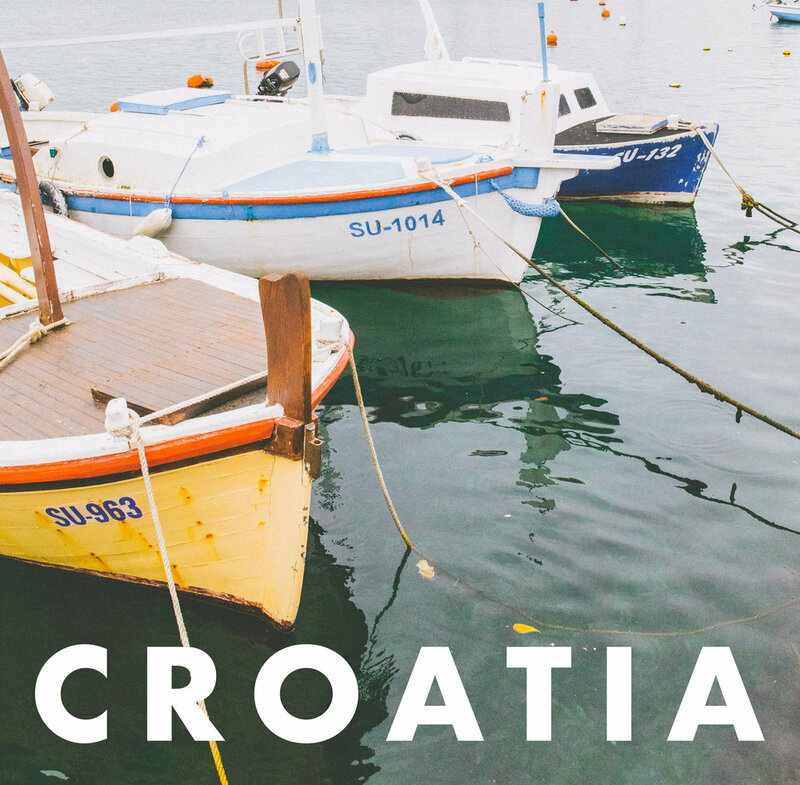 Checking country #3 off the list, our next weekend trip was to Croatia! 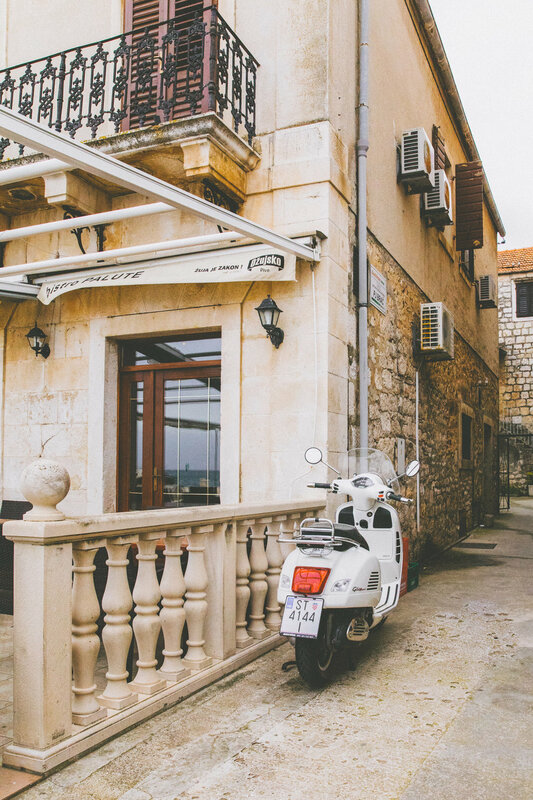 We stayed in Split, right on the coast. We even made it to Bosnia and Herzegovina on one of the days! 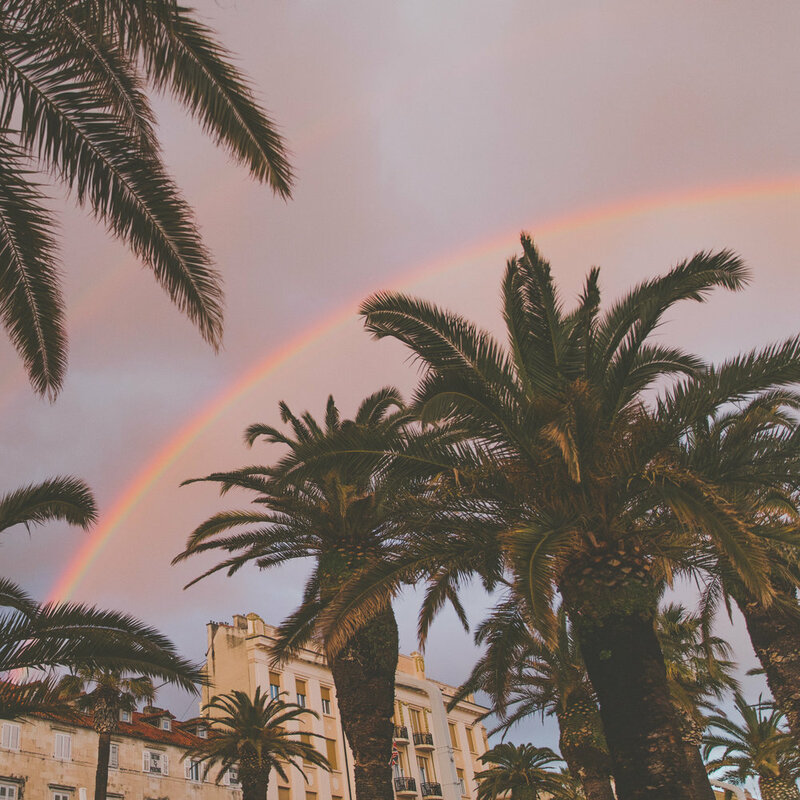 From going zip-lining in the mountains of Croatia, to visiting coastal islands like Brač, and watching a rainbow light up a sunset sky, this place was full of wonder and adventure. 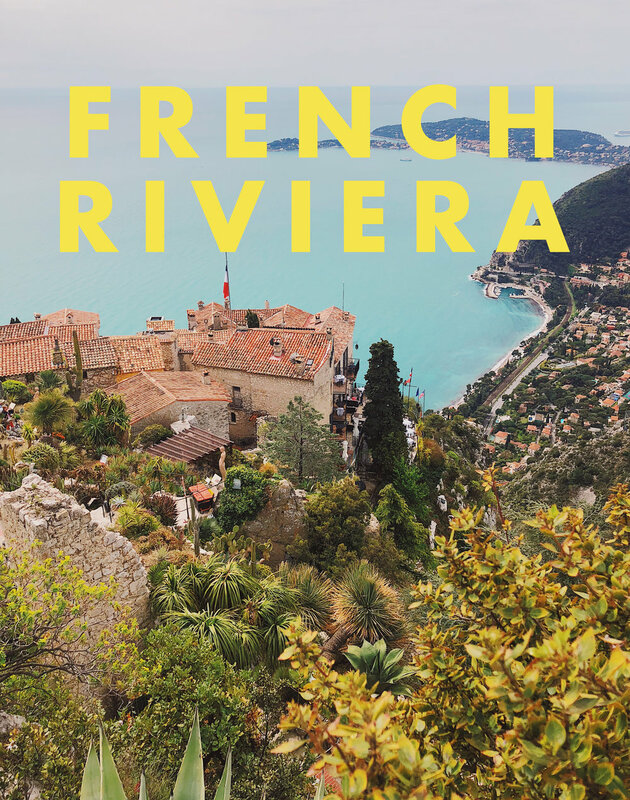 Next, we headed for the French Riviera. 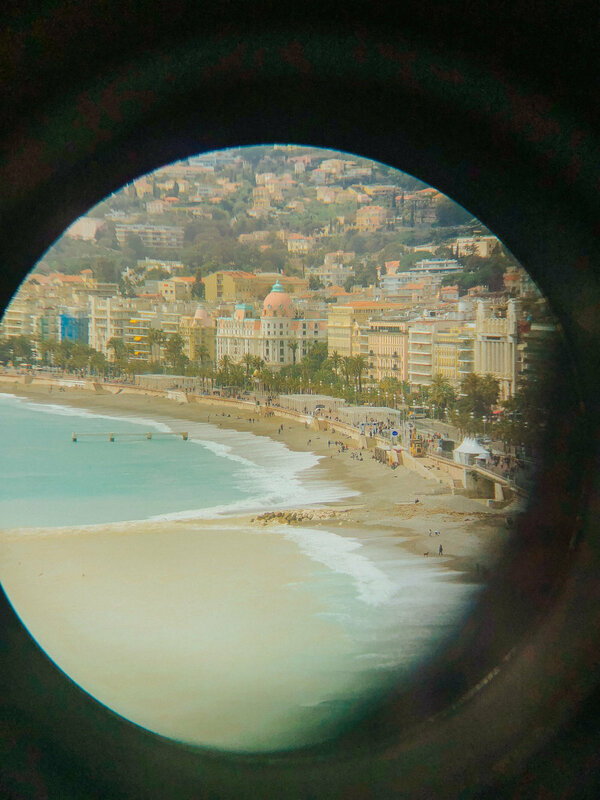 We stayed in Nice, and explored the nearby towns of Eze, Antibes, and Monaco. 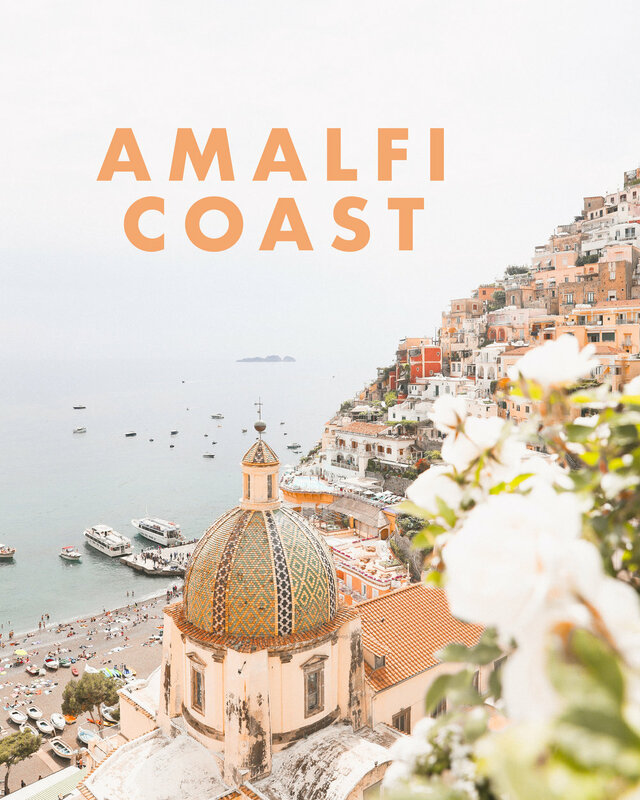 From stopping to smell the flower markets and perfumeries, to visiting the Matisse museum, and watching the sunset by the coast, this place was pure magic. My last weekend trip with Bus2Alps was back in Italy, on the Amalfi Coast. 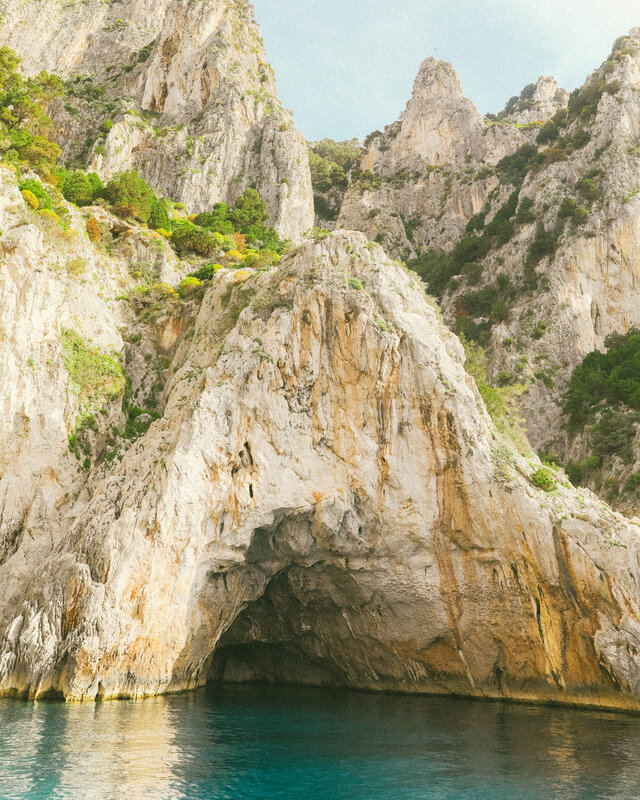 Our stops included day trips to Capri and Positano, complete with plenty of lemon granitas, boat tours, and Mediterranean swims. 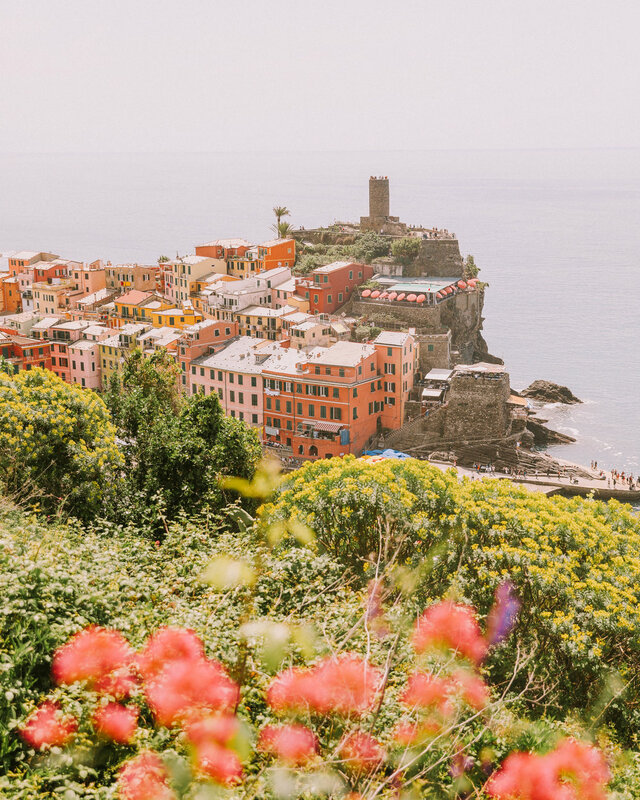 The last, and quite possibly my favorite, trip of my semester with Bus2alps was to Cinque Terre: an incredible stretch of colorful cities on the Italian coast. 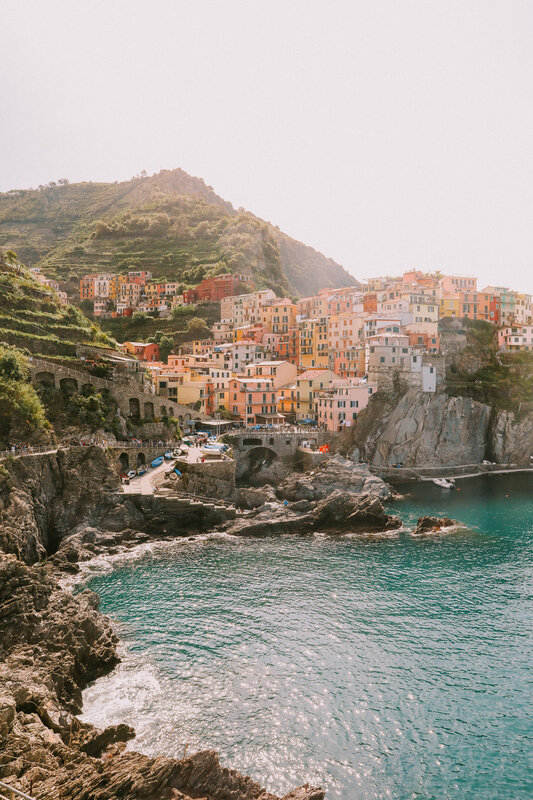 This trip was just 1 day, but we had the chance to swim, explore, and try fish cones at Manarola, Vernazza, and Monterosso! For more info on trips and itineraries, click this link! A few weeks ago, my brother and I took a road trip from Bologna to Bolzano to catch a glimpse of the magnificent Dolomites. There's something about mountain drives that fill your heart -- I think being surrounded by such awe-inspiring nature will always move something in my soul. I usually find myself endlessly aware of the light -- especially when golden hour comes to roll around in the hills. I've decided that I want to spend my days endlessly chasing the sunset. So, you can find me with the wild souls whose hearts beat twice as fast when the sun breaks and sweet warm rays dance among rocky ranges. I'm running for the hills with the star-gazers & dream chasers, in my favorite Inkkas Tan Suede Camping Boot. These cool kicks are so comfortable + perfect for days spent adventuring, inspired by patterns from all around the world! 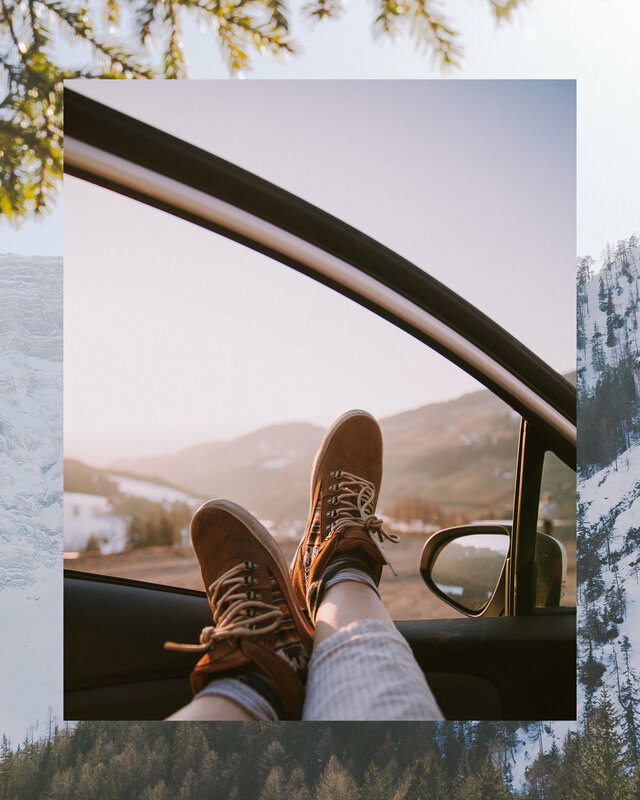 So whether you're hiking among the trees in your backyard, exploring rocky seaside cliffs, or setting out on a spontaneous road trip, pick up some of these rad boots with my code Allegra20 to receive 20% off your order! Also, Inkkas plants 1 tree for every purchase, so let's keep the Earth glowing and growing! 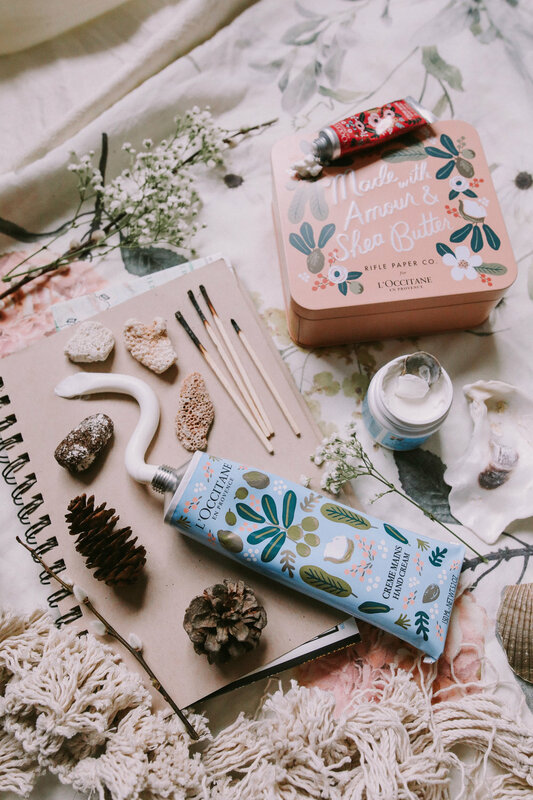 Inspiration is blooming all around with L’Occitane and Rifle Paper Co.
Finding creativity everywhere this February - - cozying up in the studio with some fresh paints & some sweet shea butter lotion. I am thrilled to be sharing this stunning collaboration between one of my favorite artists and skincare line! Whimsical flowers & leaves dance across the packaging. The Rifle Paper Co. Manicure Set comes with a tiny shea hand cream, hand scrub, and cuticle oil, perfect for staying happy and hydrated on cold winter days! The most magical time of year is upon us: a time to reflect, rejuvenate & celebrate. 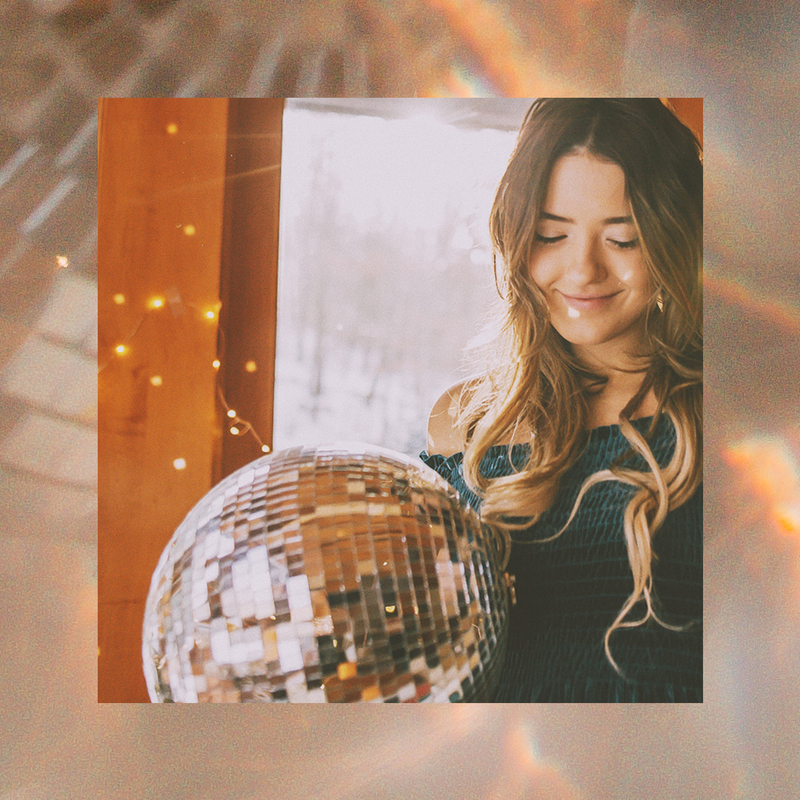 Whether cozying up in the woods in turtlenecks & corduroy, or dressing up for a night in the city in velvet + glitter, Urban Outfitters has made it delightful to dress for any occasion this winter. 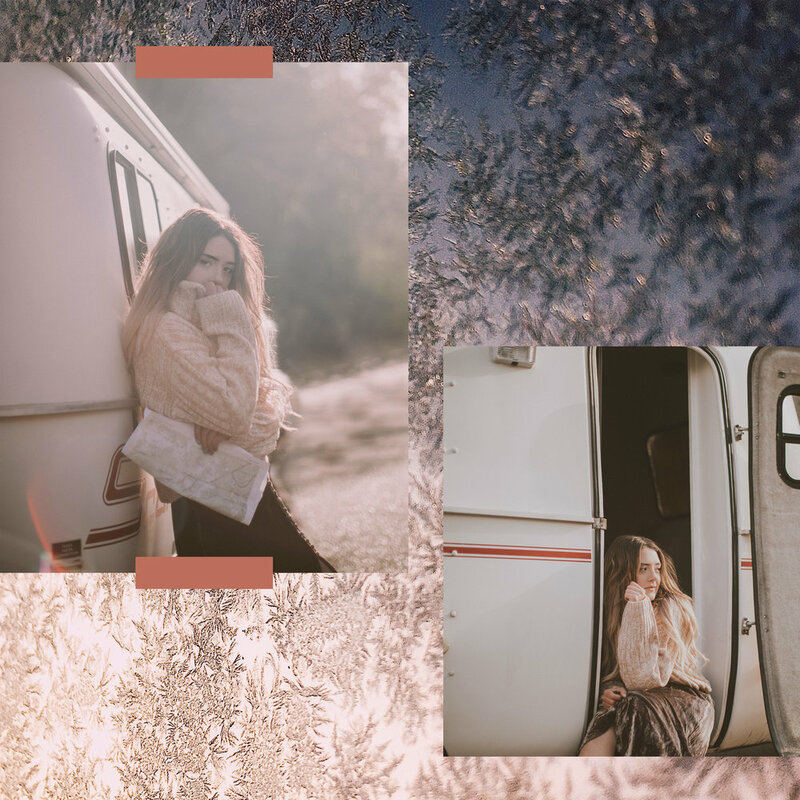 I've been absolutely loving all the sherpa jackets, tie-front tops, & glittering accessories! Wishing all you beautiful dreamers a sparkly & joyful holiday season. Hey dreamers! With the holidays right around the corner, I'm excited to announce my partnership with Case Station! A few weeks ago, I designed my very own customizable iPhone case, and absolutely loved adding my own personal touch to my device! In addition to phone cases, they also have incredible customizable leather Apple Watch bands. I loved customizing mine with a photograph from this summer in the wildflowers in Colorado. We are currently hosting a giveaway to gift an Apple Watch Series 3 & two customizable bands! You can enter at https://us.casestation.com/apple-watch-giveaway/ until December 6! Good luck! Create you own custom phone case at https://us.casestation.com ! November is for setting out on winter adventures, embracing the shimmer & sparkle of the season. Staying cozy this month with pink knit turtleneck & velvet galore with some of my current favorite pieces from Urban Outfitters. I’ve been loving layering their soft sweaters over purple velvet dresses, and pairing glitter tees with velvet jumpers. This time of year is always so magical for going on winter hikes, capturing memories, & decorating with fairy lights. 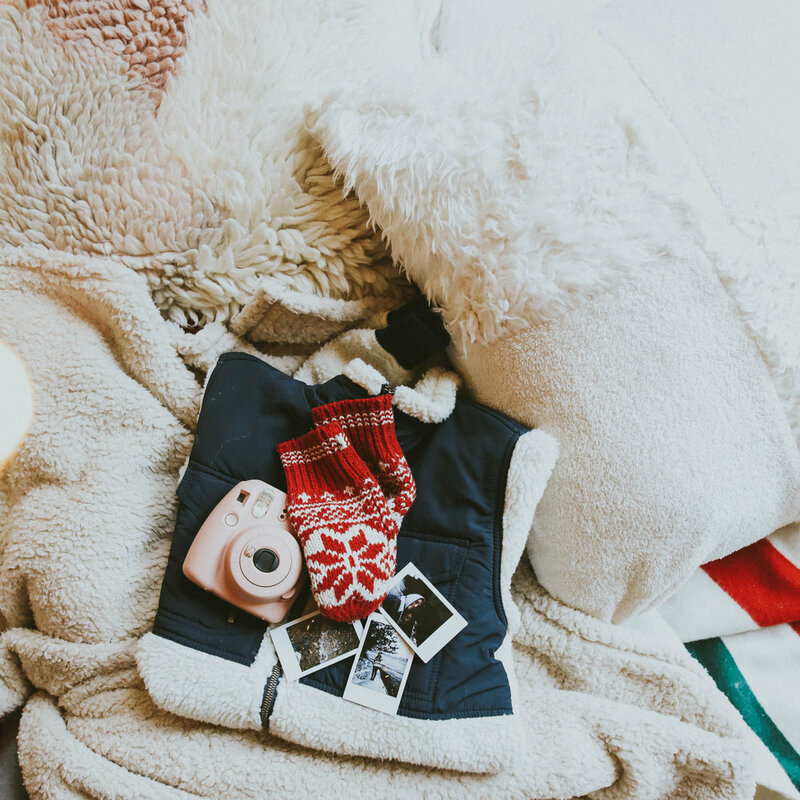 Wishing all you beautiful dreamers a cozy November! 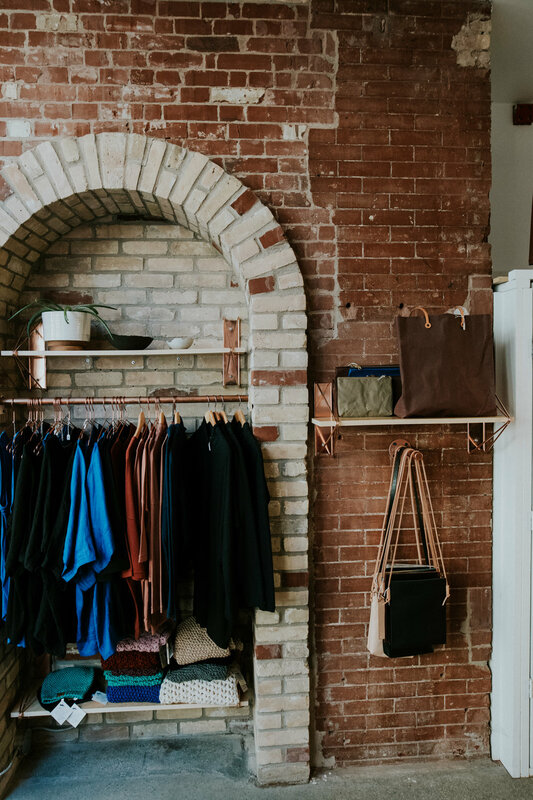 Winnipeg was filled with the most adorable local stores + boutiques! 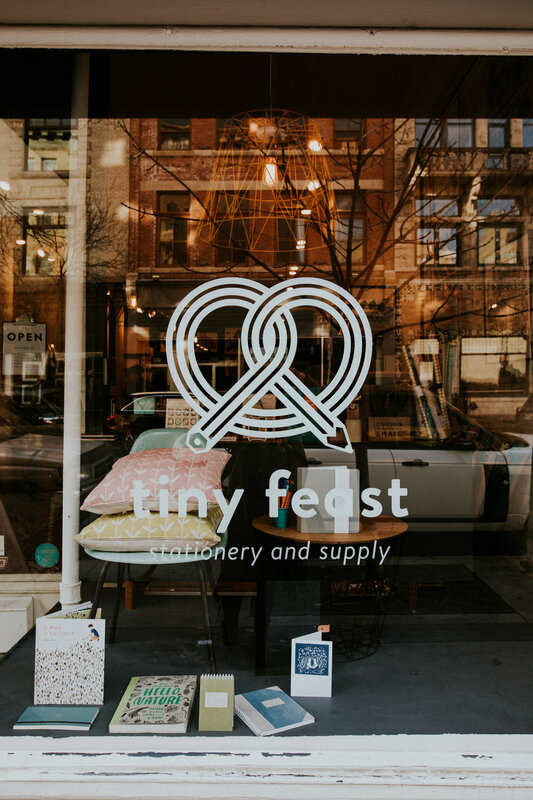 One of my favorites was Tiny Feast, where I purchased a unique map of Manitoba. This shop also had locally designed stationary, as well as rad papers, cards and accessories. I also fell in love with all the locally designed fashion I found in the Design Quarter. dconstruct was one of my favorites. They had the most incredible bags & recycled concrete jewelry! Boutique Anya also had a delightful, fresh + modern atmosphere. Aside from all the incredible local spots in downtown Winnipeg, we also had the chance to check out CF Polo Park and Outlet Collection Winnipeg, two amazing indoor spots to shop. CF Polo Park had amazing stores such as Anthropologie Arand itzia! I particularly enjoyed checking out Portia Ella at the Outlet Collection. 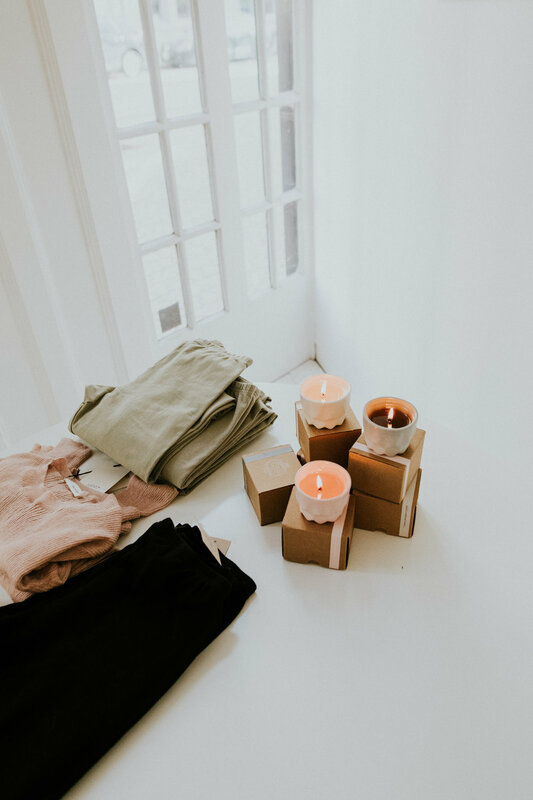 Portia Ella is an ethical and sustainable Canadian-based skincare curator, focused on bringing together locally made organic skincare and makeup products! Also picked up this beautiful Ralph Lauren sweater at Saks Off 5th at the Outlet Collection as well! 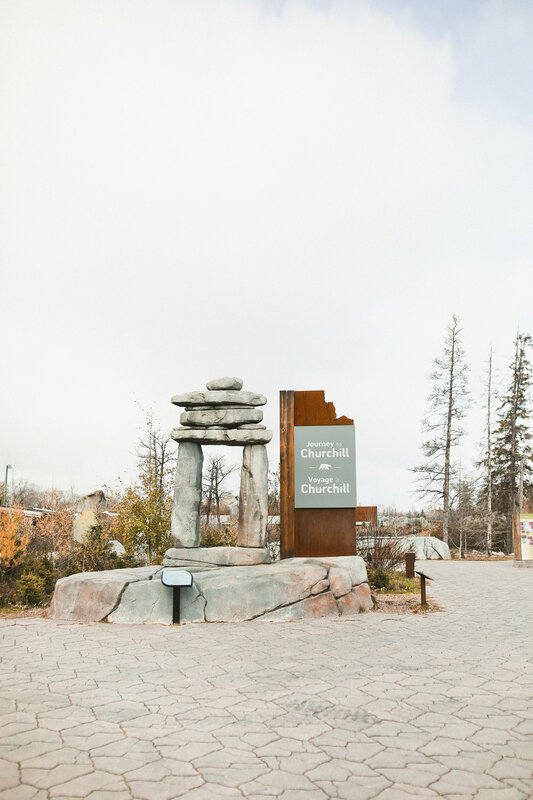 While we were adventuring around Winnipeg, we had the pleasure of checking out the Journey to Churchill Exhibit at the Assiniboine Park Zoo. This Zoo rescues orphaned polar bears from northern Manitoba, and brings them to Winnipeg so they can rehabilitate and to help bridge conversations about conservation, education, & climate change. 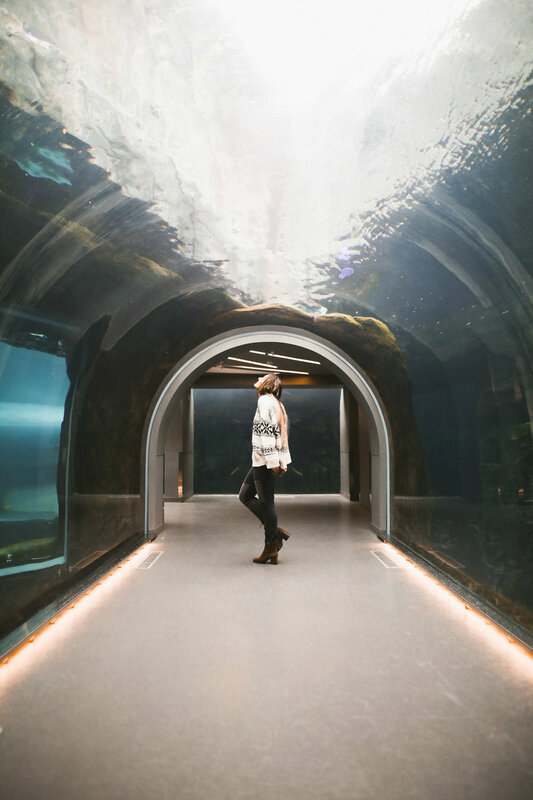 Assinboine Park Zoo is also dedicated to creating natural environments for the animals that live there, so they can roam as they please. 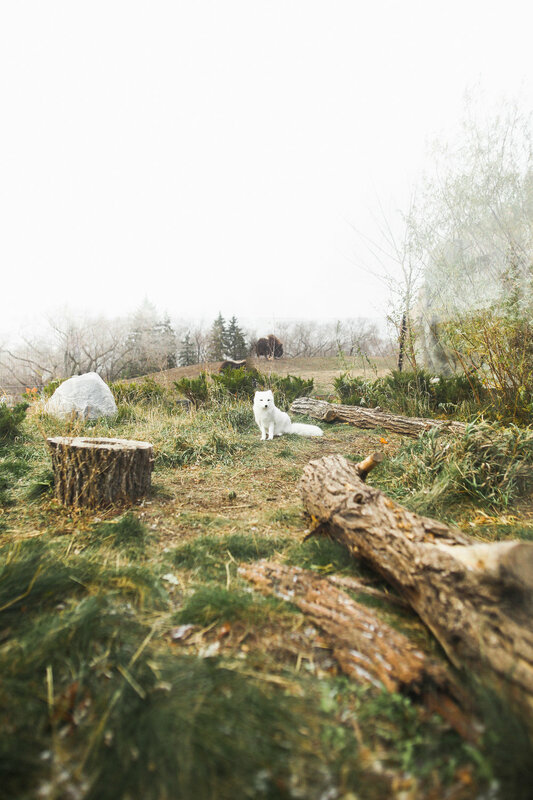 We had the most magical time hanging out with other northern species like arctic fox, wolves, and muskoxen! To learn more about the International Polar Bear Conservation Center, click here! 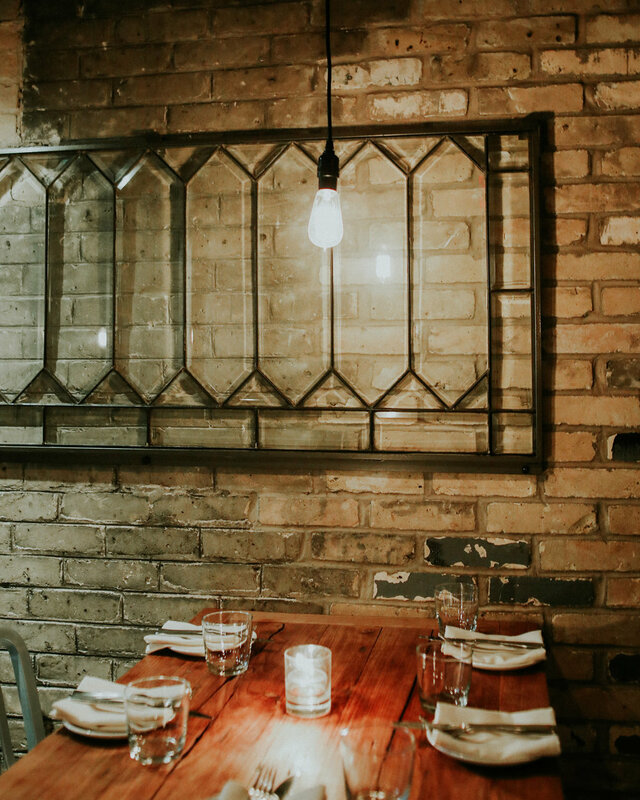 A few weeks ago, I headed north and the pleasure of exploring Winnipeg with Travel Manitoba. 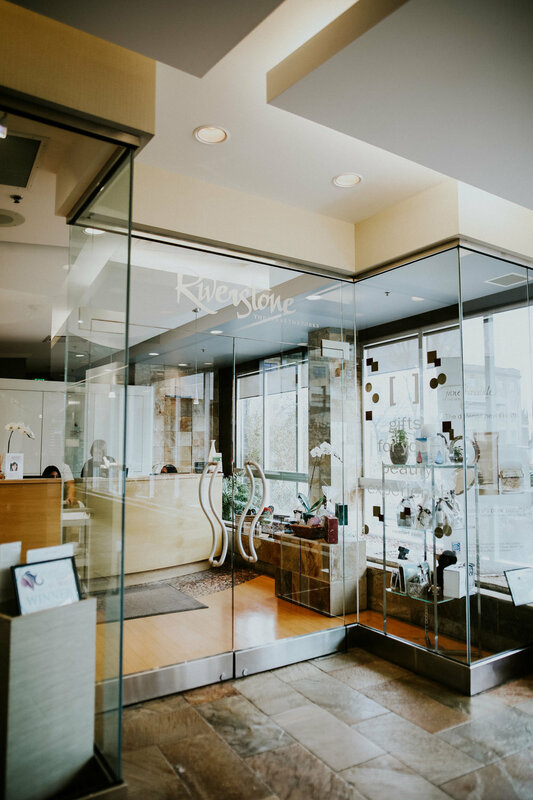 Excited for a weekend of relaxation and rejuvenation, we decided to focus on self-care and wellness by checking out some of Winnipeg's most beautiful spa experiences. We started out at Thermëa, a Nordik-inspired spa focused on thermotherapy and thermal cycles of saunas and pools. Upon arriving, we headed straight for the saunas! The eucalyptus sauna was the perfect escape for the cozy winter day. After the saunas, step two is to make your rounds in the heating and cooling pools. The last step in the process is to relax with a cup of tea in one of their beautiful relaxation rooms. I slept for a wonderful, solid hour in their peaceful and quiet chalet. We ended our treatment with the most delicious seed + sprout bread, warm savory soup, and almond milk chai tea lattes at Restö. Next, we made our way back to our hotel, Inn at the Forks, home to the beautiful Riverstone Spa. I had the pleasure of indulging in the Riverstone Signature Indigenous Hot Stone Massage. I absolutely loved being able to learn about the Indigenous practices of massage, and how the chiefs actually had come into the spa before it opened to teach the massage therapists their traditional practices including smudging and setting intentions. The treatment included warm hot stones and dreamy essential oils. Our final spa day was spent at TenSpa at the Fort Garry Hotel in downtown Winnipeg, where we had the most unique and beautiful treatments. At TenSpa, they specialize in Hamam treatments, which is a traditional Ottoman practice of massage through water therapy. At the beginning of your treatment, you will be greeted with mint tea & turkish delight: something sweet and something bitter. Next, you enter a dim sauna room, complete with twinkly star lights on the ceiling, and the sound of rushing fountains echoing peacefully in the space. The treatment transports you to a state of complete relaxation, as well as spiritual and physical purification. 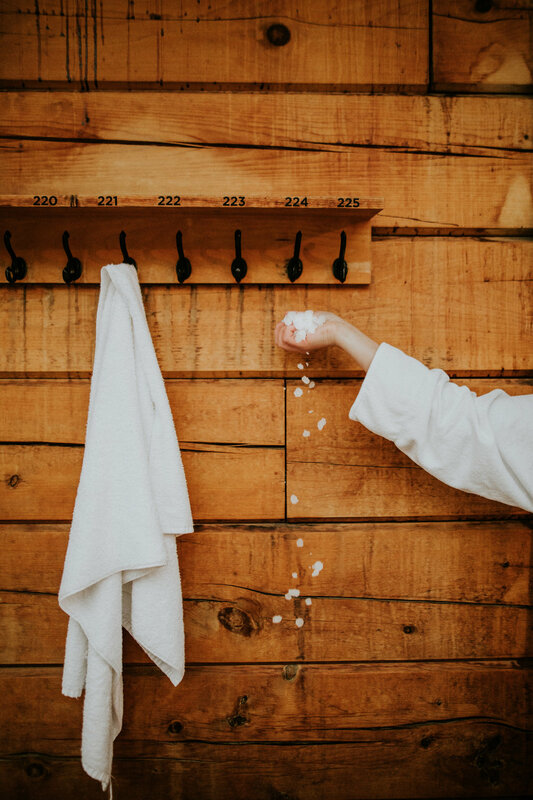 After each day spent at these incredible spas, we were in a state of tranquility, feeling completely rejuvenated, ready to explore more of beautiful Winnipeg! Hey dreamers! 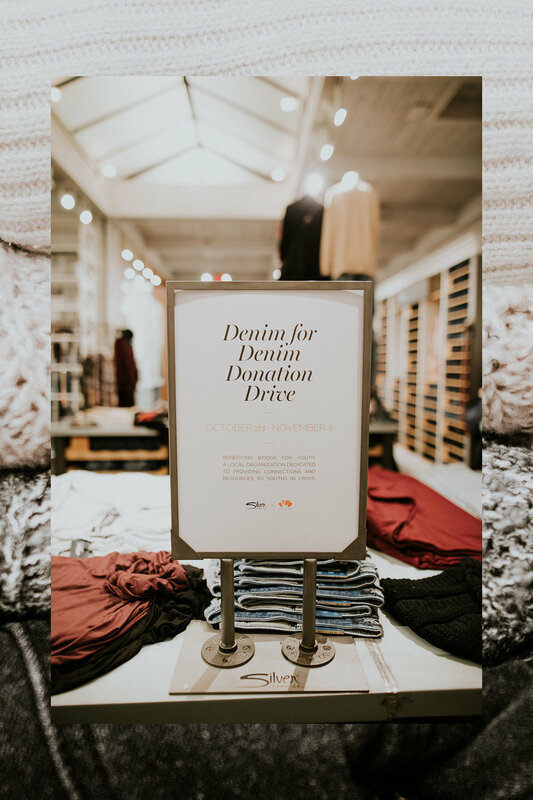 I'm so excited to partner with Silver Jeans Co. this fall to tell you all about their exciting Denim Drive they are hosting this autumn! Trade in any slightly worn pair of jeans for 25% off a new pair at the Silver Jeans Co. store. All denim donated will go to benefit local charities! Check out some of their rad new arrivals here! Spend a weekend wandering around up in Northern Minnesota during the peak fall colors with some of my best friends. We found the cutest little A-Frame cabin, booked it & drove up 5 hours the same day to the Gunflint Pines. We had the most magical time hiking, canoeing, and making cinnamon pancakes. 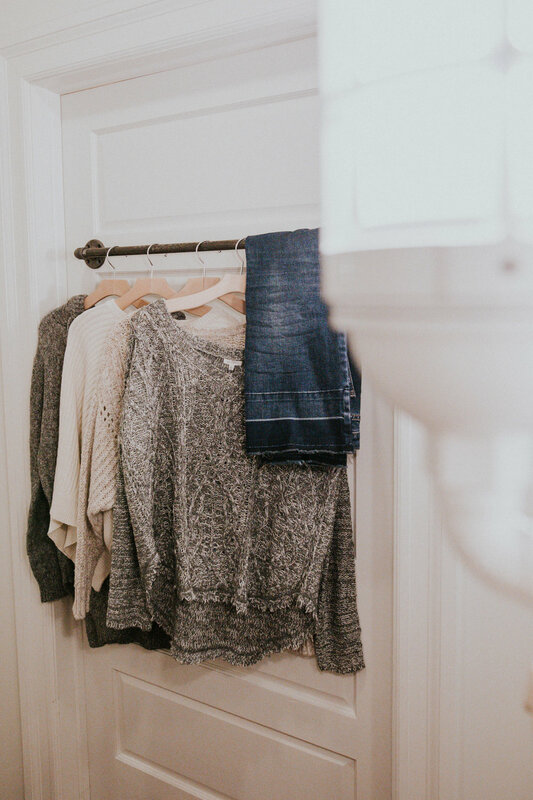 I've picked up a few of my favorite fall sweaters + maxi dresses from Urban Outfitters, perfect for the transition to chilly mornings up at the lake. Cheers to the season of wonder. FTC: This post was sponsored by Urban Outfitters. With the changing seasons, it's important to take time to be present and be good to your soul. 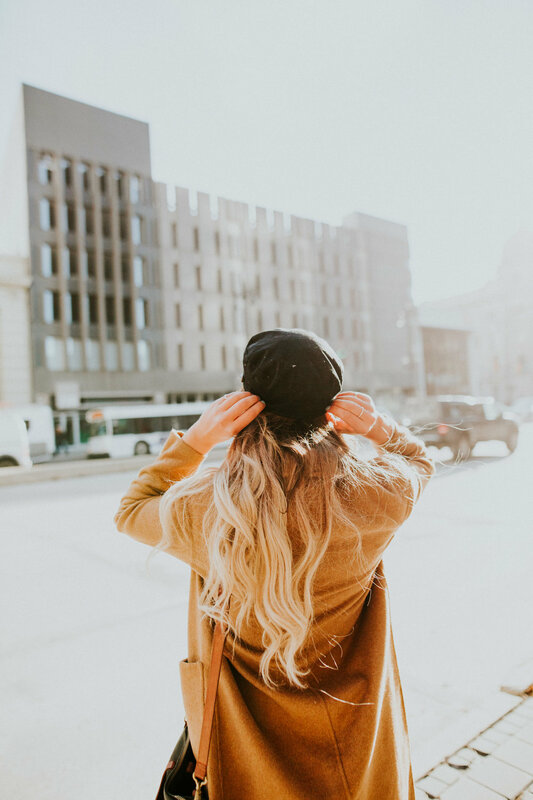 Whether it's spending time outside enjoying the crisp autumn colors and warm sunshine, or cozying up inside with a nostalgic read, October is the perfect time to renew your mental health and physical wellness. 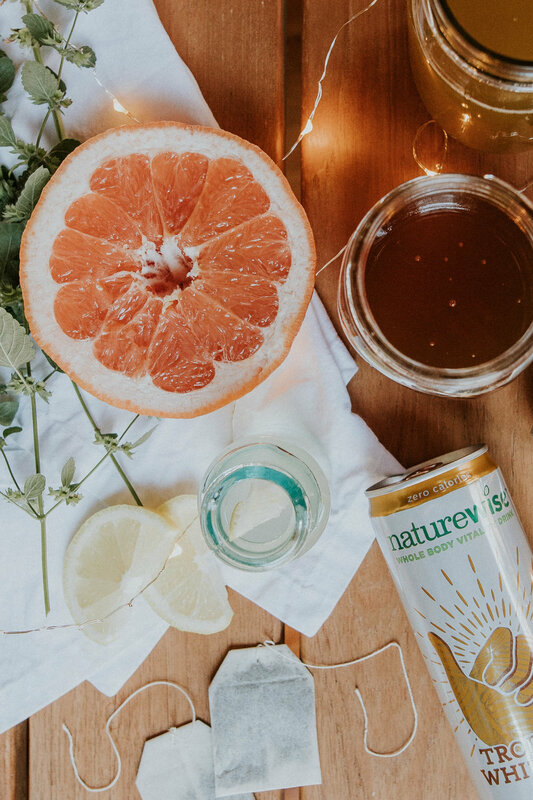 I've partnered with NatureWise to tell you all about their amazing natural, non-GMO Vitality Drinks! 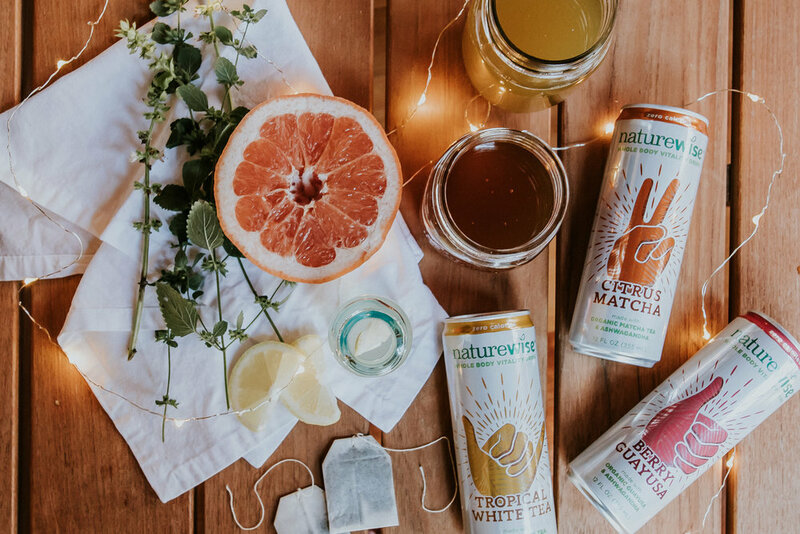 They have three flavors: Tropical White Tea, Berry Guayusa, and Citrus Matcha! (All SO delicious!) 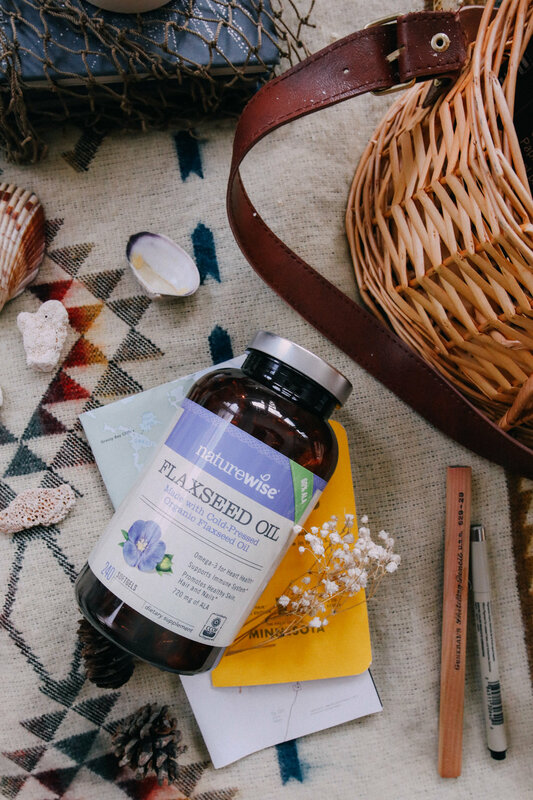 They are each packed with organic ingredients that help enhance your focus and reduce stress, such as , Organic Matcha & Fair Trade Guayusa, Organic Ashwagandha, Organic Whole Food Vitamins, and Organic Holy Basil. 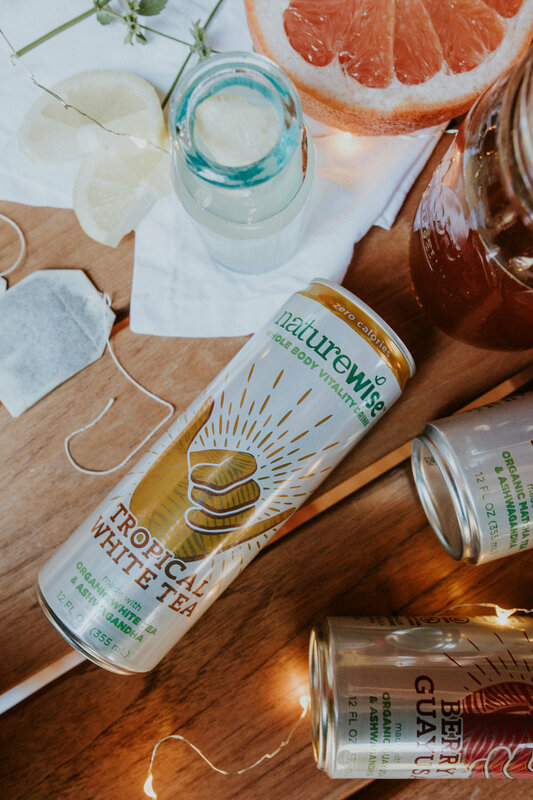 Pick up some of this sparkling goodness at NatureWise! Stay healthy + happy, dreamers! 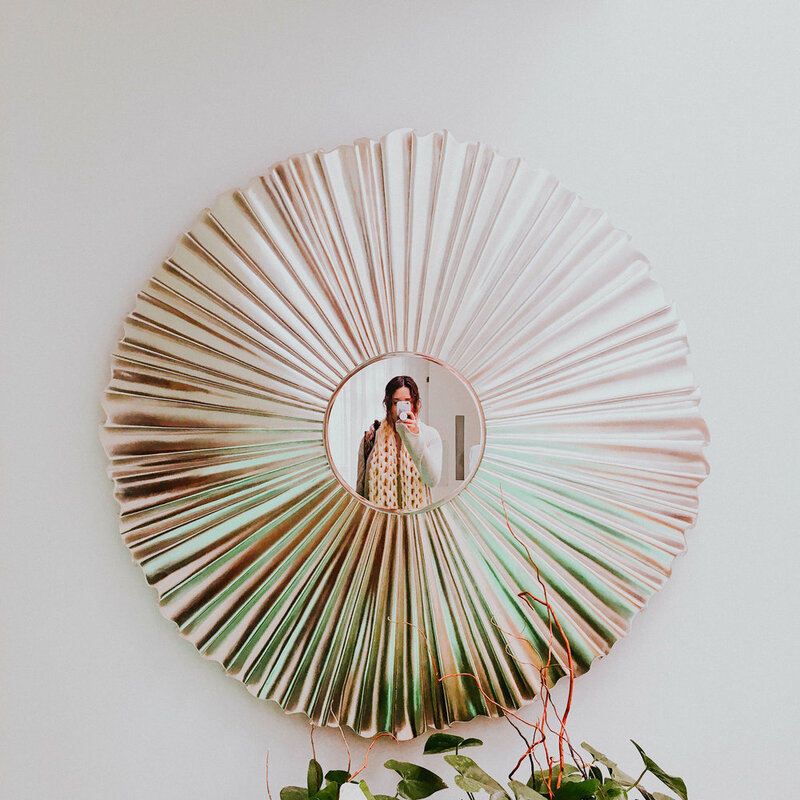 A collection of thoughts, words + dreams by Allegra Rose. With northern roots, and a rocky-mountain soul, I have found that nature has taught me many things about myself. I am a wild adventurer, fearless artist, and believer in all things authentic + true. 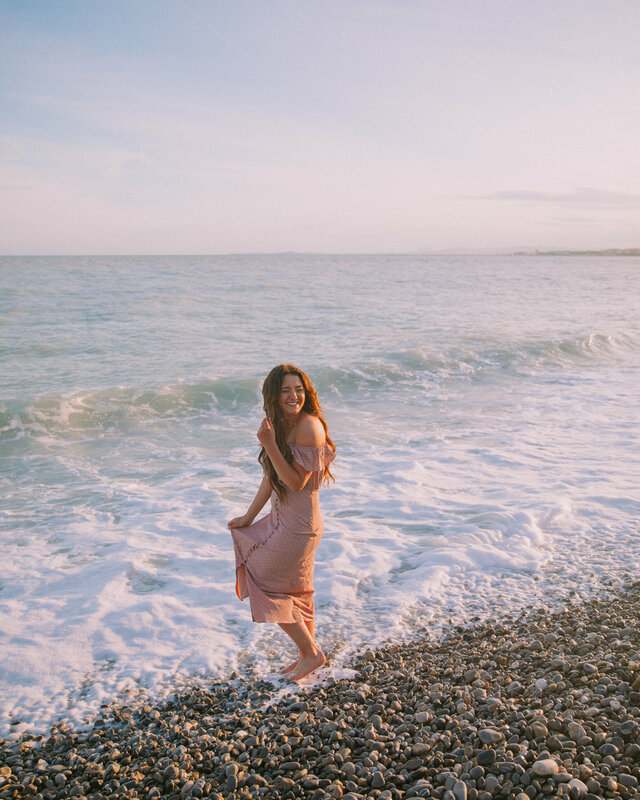 Come along to experience my daily adventures, free-spirited style, and whimsical creations. Sign up to receive a weekly notification when a new adventure is up on the Wanderlogue!